A soup made with tomatoes, double cream and basil. 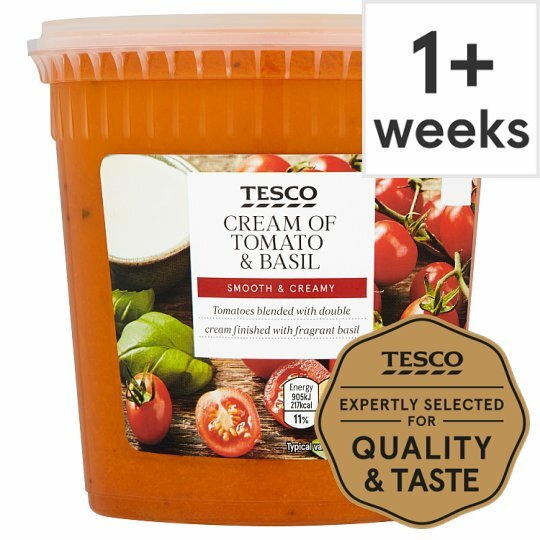 Smooth & Creamy Tomatoes blended with double cream finished with fragrant basil Just as you would when cooking a soup at home, our experts sauté onions to create a base and build flavours with selected tomatoes and seasoning. INGREDIENTS: Tomato (76%), Tomato Juice, Double Cream (Milk) (6%), Onion, Tomato Purée, Agave Syrup, Butter (Milk), Salt, Basil, Black Pepper..